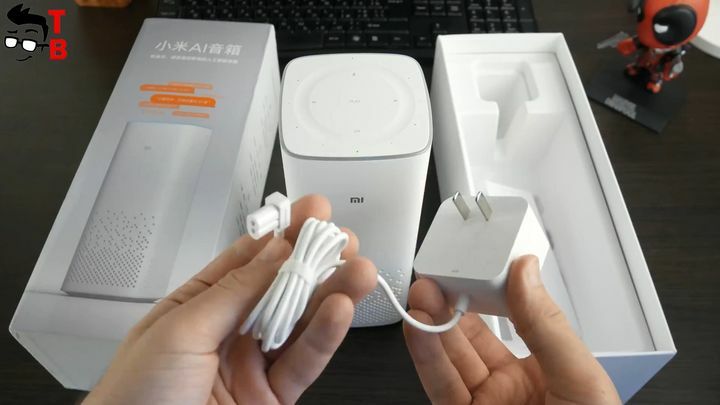 Home » Review » Review Xiaomi AI Bluetooth 4.1 Speaker: How to use in English? 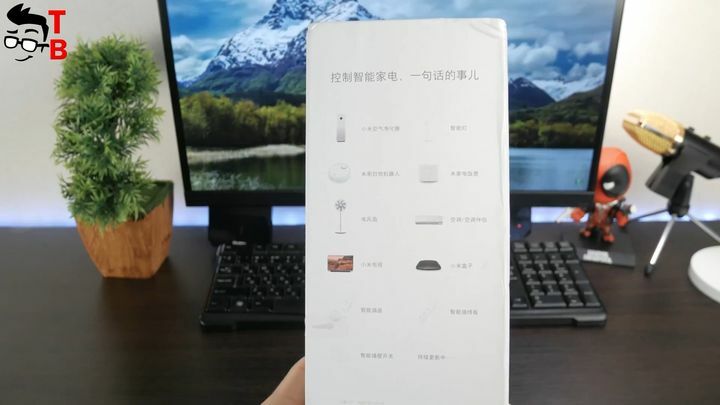 In September 2017, the Chinese manufacturer Xiaomi released another interesting gadget called Xiaomi AI Bluetooth 4.1 Speaker. It sounds awesome, is not it? In fact, you can find many similar devices from leading brands, such as Amazon Echo, Google Home or Apple HomePod. 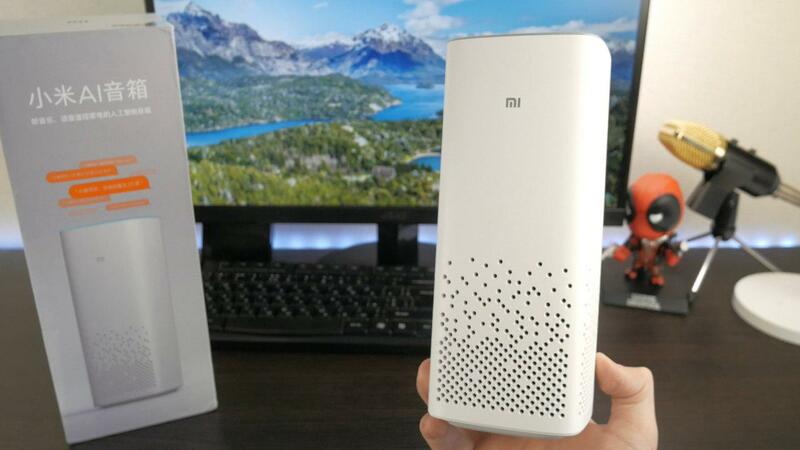 All of them perform similar functions, but the main advantage of Xiaomi MI AI Speaker is the price – just $ 78, as well as a wide range of functions. Also, this device has one big drawback that can make you change your mind to buy it. We will talk about this in our review, find out its basic features and sound quality. This original Xiaomi Bluetooth 4.0 speaker not only has the fashionable appearance but also has a powerful function. Bluetooth connectivity means that it can be compatible with most of Bluetooth devices. Take it with you, let the music around your world. Unlike many other gadgets from Chinese manufacturer, Xiaomi AI Bluetooth 4.1 Speaker comes in a bright colored box. Here we see the image of speaker, as well as Chinese inscriptions. Unfortunately, Chinese inscriptions will be everywhere when we use this device. Inside the box we see the speaker, power adapter and user manual. That’s all, nothing else is needed. 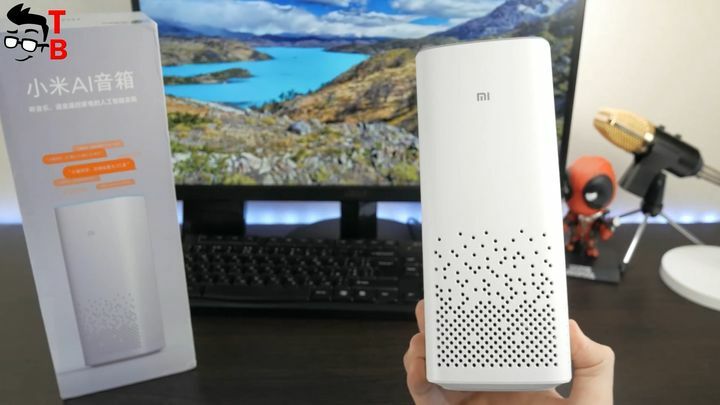 First, I have to say that Xiaomi AI Bluetooth 4.1 Speaker looks very similar to Xiaomi air purifier. It has the same shape and size. This is a vertical design with rounded edges and speaker grills. At the top you can see control buttons and LED ring that lights up when the device is on. If we talk about control buttons, there are five of them: play, mute microphone, skip playlist, previous, next. Also you may notice a round bezel. 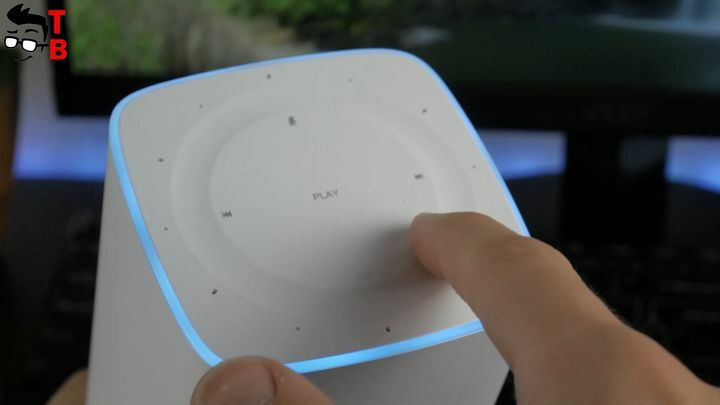 It also performs some functions, for example, slide your finger around the circle to decrease or increase the volume. Amazing, is not it? I should say that the size is fairly compact – 8.80 x 8.80 x 21.16 cm, and the weight is about 636 grams. 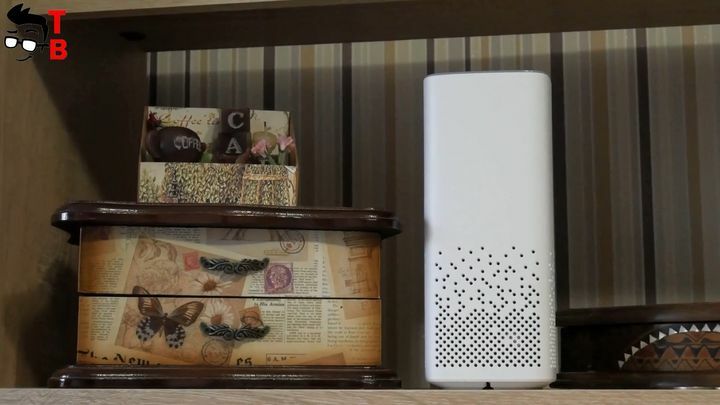 As you can see, Xiaomi AI Bluetooth 4.1 Speaker does not take much space on the desktop or bedside table. By the way, the charging cable measures 1.8 meters, so it is not necessary to have the power outlet so close. Let’s talk about technical specifications, and then move on to basic functions and sound quality. 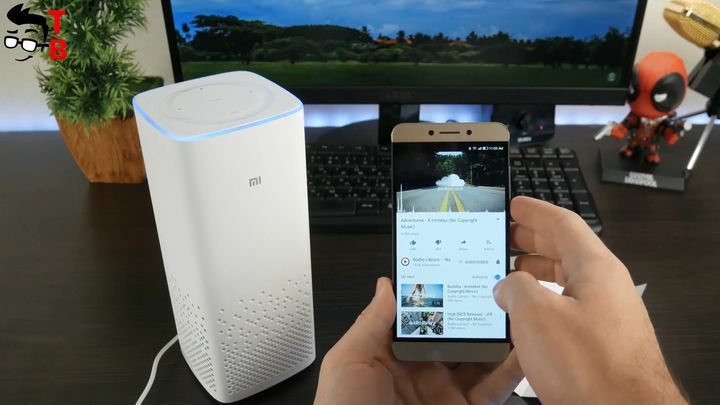 Xiaomi AI Bluetooth 4.1 Speaker is equipped with 2.25 inch speaker with passive subwoofer and 6 microphones, thanks to which the echo is suppressed, and user commands are perceived from any direction. The device operates on four core ARM Cortex-A53 processors with a clock speed of 1.2 GHz. Also there is 256MB RAM and 256MB flash memory. 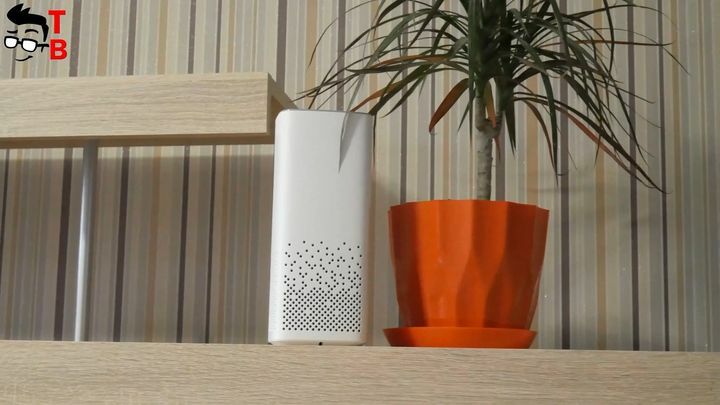 For wireless communication, there is dual-band wireless Wi-Fi adapter and a Bluetooth 4.1 controller. The impedance is 4 ohm, the frequency from 60 Hz to 18 kHz and the sensitivity is 82 dB. To operate it must be connected to a power source. 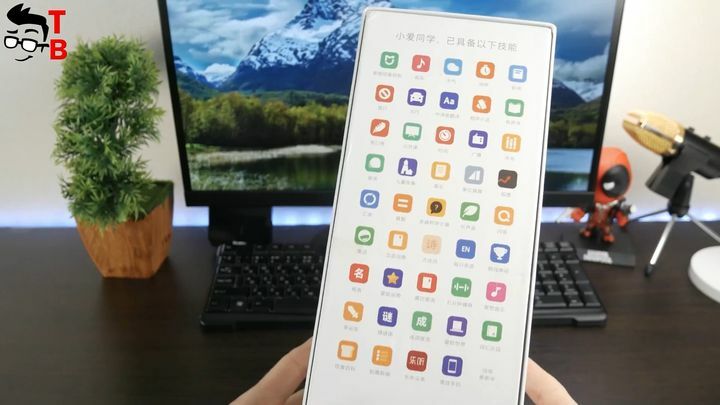 Xiaomi Mi AI Speaker offers many useful features, such as voice control. But there is one big problem – the device supports only Chinese. Therefore, you need either to learn Chinese to use voice control, or hope for update with English support. Fortunately, the application allows you to use functions that are available through voice control, and there really are many of them. You can turn on the music, ask weather, set alarm, find smartphone, make calculations, and much more. 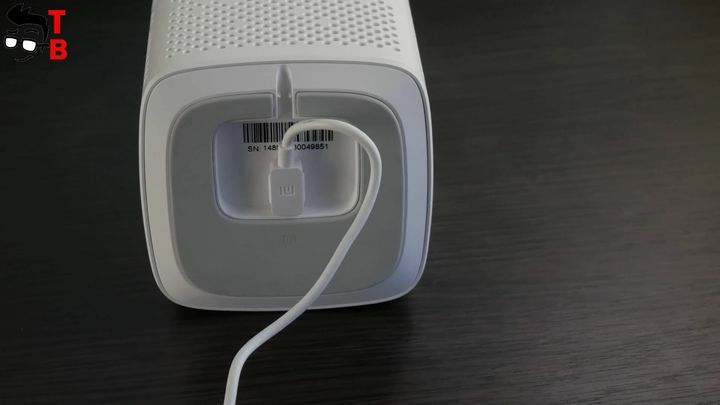 The second function of Xiaomi Mi AI Speaker is to control other Xiaomi devices, such as light bulbs, kettle, smart outlet, motion sensors and others. For example, you can use voice commands to turn on MI cameras, when you go out of the house, open curtains at a certain time, start cooking rice, and so on. 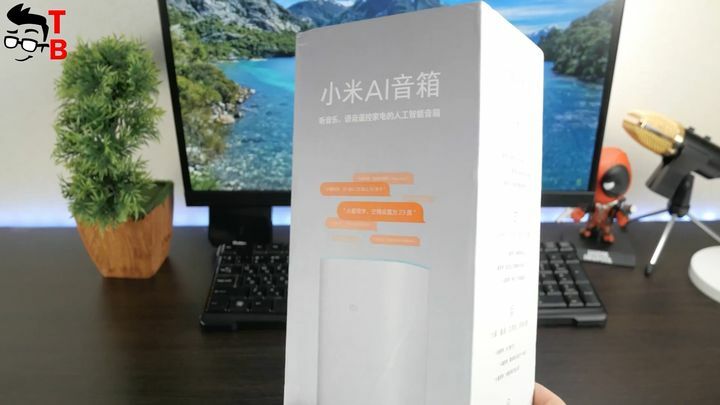 As you can see, Xiaomi AI Bluetooth 4.1 Speaker is really useful device, but its main problem is in Chinese. I would like to get English support and other languages to be able to use voice commands. First of all, Xiaomi AI Bluetooth 4.1 Speaker is a speaker, so let’s listen to the sound quality. If you plan to use the gadget only as a speaker, then you do not even need to install a special application. You can connect the speaker via Bluetooth to smartphone, laptop, PC and other gadgets. The sound quality is very good. 2.25 inch speaker with passive subwoofer provides rich and deep sound. Moreover, you can hear good basses. 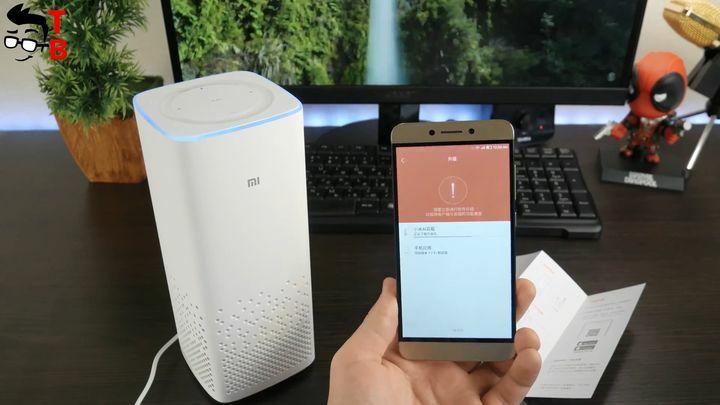 Of course, Xiaomi AI Bluetooth 4.1 Speaker will not be able to replace 5.1 home theater audio system, but it’s much better than the speakers in laptop or even many TVs. 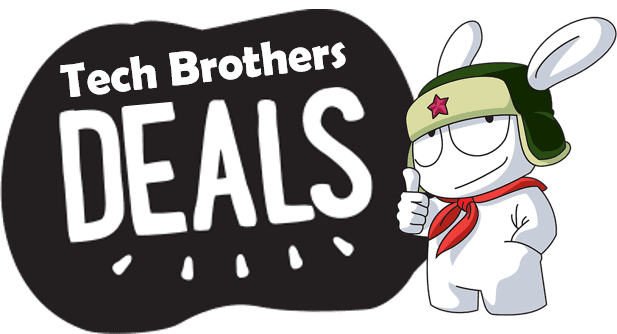 Xiaomi AI Bluetooth 4.1 Speaker is a multifunctional gadget with excellent sound and a wide range of functions. Nevertheless, its main problem is the support only Chinese language. It means that the speaker only accepts commands in Chinese. I hope for English support, but for now I can use this device only as a wireless speaker, but not as voice assistant.